One of the latest marketing trends that is being followed everywhere, be it social media platforms or the brand websites, is organizing various photo, video or music contests and selecting winners through polls and votes. The procedure of organizing a contest online is simple. Through your brand social platform, you call on your consumers to take part in a contest to show off their skills, and then you ask the public to vote for the best, and pick a winner with most votes. When you organize photo, video or music contests, you create a win-win situation for yourself and for your consumers. You provide yourself the opportunity to market your brand while you provide your consumers a chance to win something really good. This is one of the most important benefits of organizing such contests. If, for instance, you are arranging a photo contest that asks people to share your product images on social media channels and the one with most shares win, people will find your contest as a free opportunity to win something and will eventually spread the word. This will invoke a chain reaction and their friends will be sharing it with their circle and so on, eventually growing your customer range. 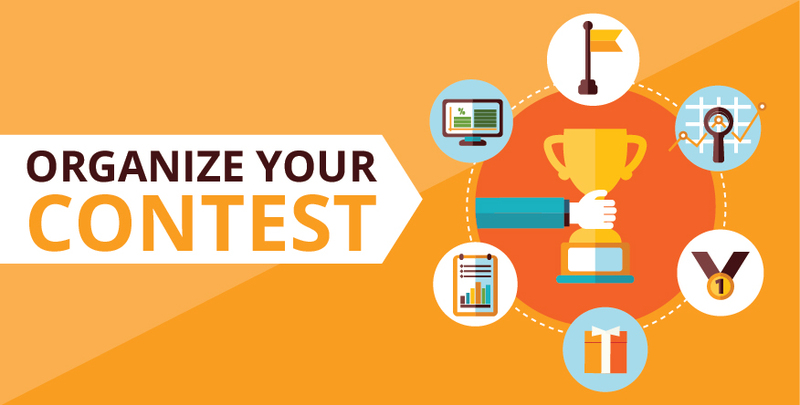 Such contests encourage customers to engage more with your brand, especially if you are hosting a contest where you ask participants to submit their work for winning a reward. Through such promotions, consumers will make interact not only with the brand but also with other online community members eventually building up your brand image. When you organize such competitions, you eventually promote your brand image as well as product awareness. Consumers start considering you as a friendly and interactive brand eventually increasing your ratings and loyalty in the market.